The practical guide to baby and child development... For every mum and dad! 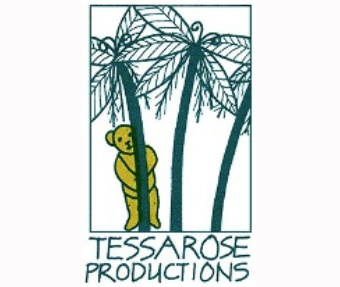 Kiwis, Tessa Grigg and Brian Ringrose, formed Tessarose Productions in 1999. The music (all 700 songs) has been created with young children’s developmental needs and the latest findings in early education in mind. The songs are simple and slow enough for young children to understand and then respond to, and the words repetitive and clear so children can sing along. Tessa has a wide range of experience within the Early Childhood Education field. She has taught in a Primary School, supervised a Pre-school with specialist work in the sensory motor area, worked as a Child and Family Therapist, taught Nanny students and has owned and operated a GymbaROO centre for 9 years. Tessa’s experience in teaching pre-school children spans 30+ years but the strength in her experience is that is has been in a variety of settings. Brian has had over thirty years’ experience in the music business, both in the recording field and as a performing artist. He has performed both nationally and internationally and was part of the original Invaders Band that played with Ray Columbus. Brian has worked for television (a fifteen year involvement) and continues to play to live audiences on a regular basis while working in his recording studio in the daytime. Music produced by Brian has been sold internationally with feedback that recognises his versatility and creative abilities. We intensely dislike spam and promise to keep your email address safe. I have read the “Before you start information”. Click here to read now. I agree to the terms of usage. Click here to read now.